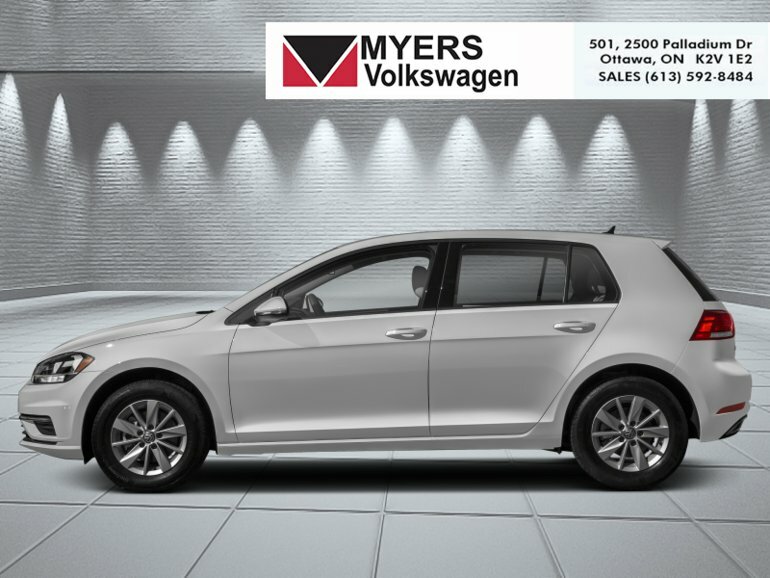 The versatile and practical 2019 Volkswagen Golf is arguably the smartest choice for a new economical family compact. This white silver met hatchback has an automatic transmission and is powered by a 147HP 1.4L 4 Cylinder Engine. Our Golf's trim level is Execline 5-door Auto. 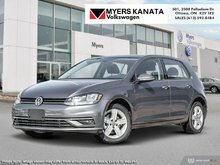 This top of the range Volkswagen Golf Execline offers luxury up-scale features for the price of a compact stylish city runabout. Options include a power sunroof with sunshade, fully automatic headlamps with delay off, front fog lamps, cornering lights, a premium Fender sound system with 8 speakers and a subwoofer, integrated satellite navigation, App-Connect smart phone integration, Bluetooth connectivity, SiriusXM satellite radio, heated front sport seats with power adjustment, proximity keyless entry and push button start, dual zone automatic air conditioning, cruise control, a leather wrapped steering wheel with multiple functions, simulated carbon fiber interior inserts, a rear view camera and much more. This vehicle has been upgraded with the following features: Driver Assistance Package. 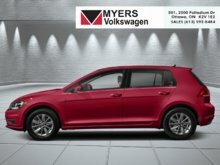 Interested in the 2019 Volkswagen Golf Execline 5-door Auto ?